Questions? Ideas? Send us a note at goslowfood@gmail.com or to a specific board member (below). 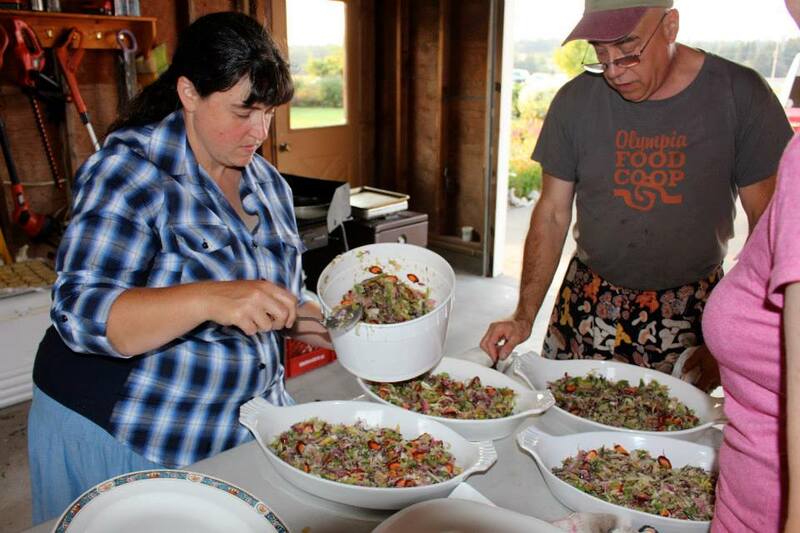 Treacy Kreger and Celeste Wade plate the beef tenderloin on summer slaw at the 2014 Colvin Ranch dinner.